I'm always looking for new cookie recipes to try during the holidays for parties, sharing with friends & neighbors, and of course to enjoy with a mug of hot chocolate. 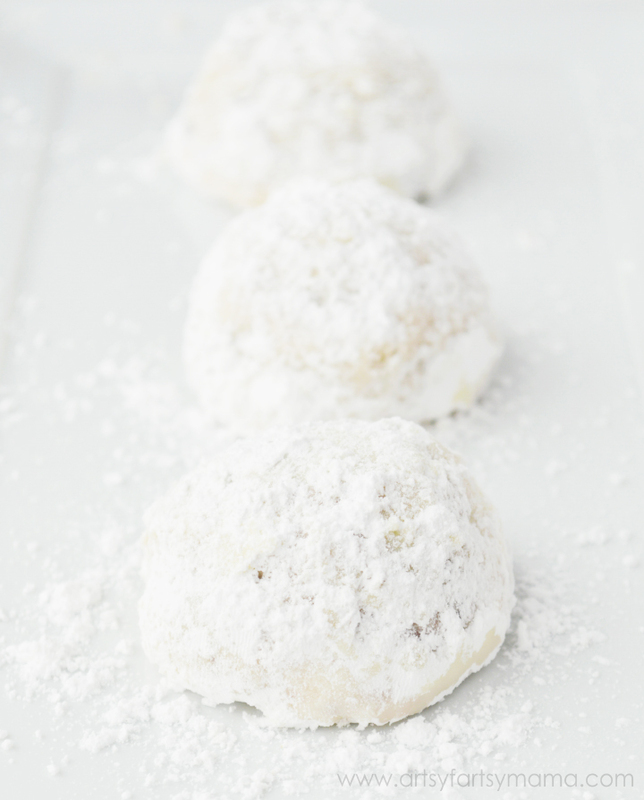 Snowball Cookies have been on my list to try for a long time, and I have no idea why I waited so long!! They are fun for kids to help bake, and you most likely already have all the ingredients in your pantry! Cream the butter with 1/2 cup of powdered sugar and vanilla. Mix in the flour and salt. Add mini chocolate chips. Roll about 1 tablespoon of dough into balls and place on an ungreased cookie sheet. Bake until bottoms are golden, which is about 12-15 minutes. Do not overbake! It's better to undercook them than to overcook them. Pour 1/2 cup powdered sugar into a bowl. 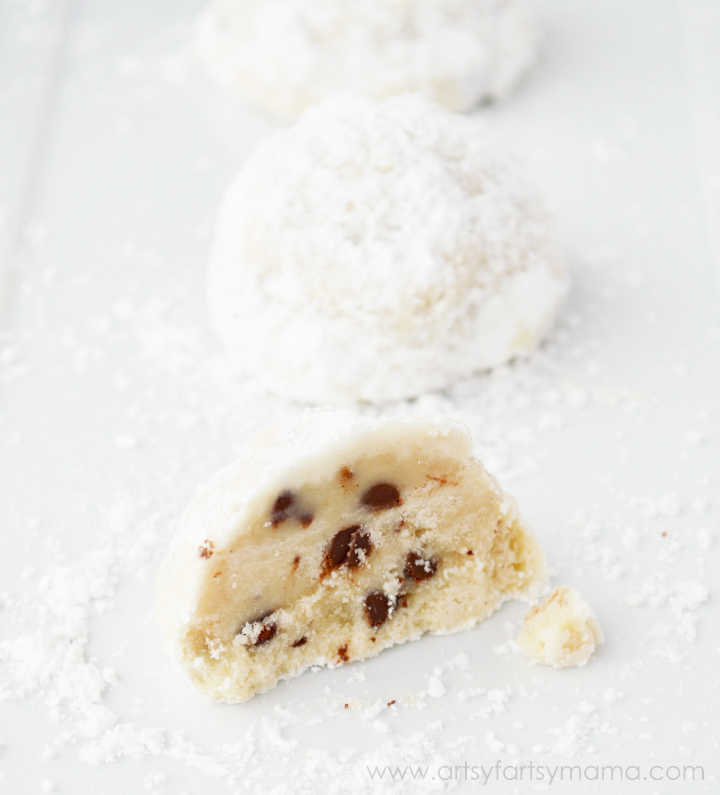 While cookies are still hot, roll them in the powdered sugar and let them cool on a baking rack. Once they have completely cooled, roll the cookies in the powdered sugar again. They don't look too coated after the first time, but the second coating will give you the beautiful snowball look that these cookies are famous for. If you aren't a fan of chocolate chips or just want to add some variety, you could substitute or add finely crushed candy canes, nuts or even bake the cookies plain! 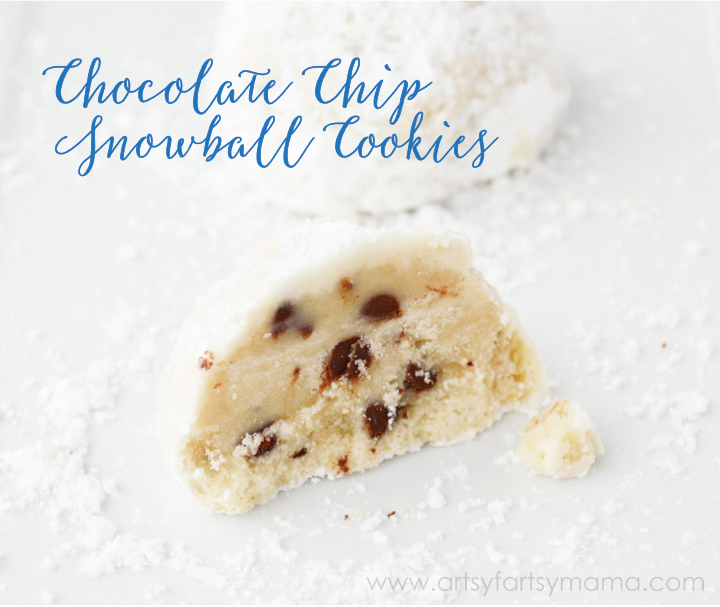 I hope you enjoy baking this holiday season and I'd love to hear if you try these chocolate chip snowball cookies out!! I love snowball cookies. I make them every year! Never tried them with chocolate chips. Sounds wonderful! Ill be back tomorrow to link up.